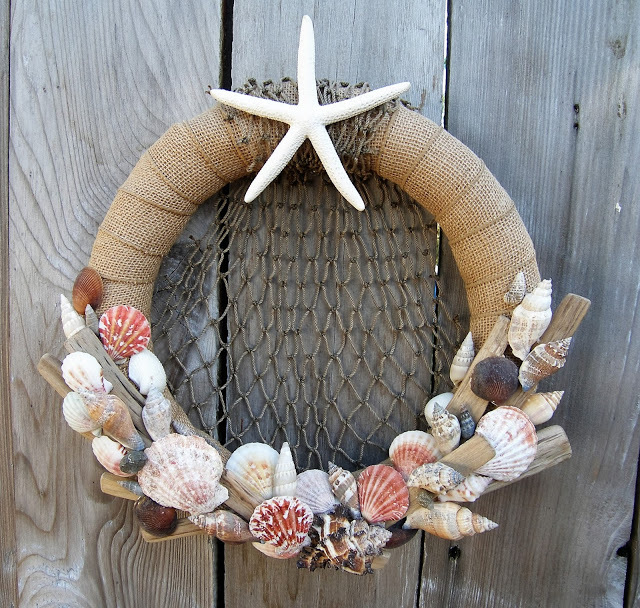 She sells seashells by the seashore…this beach-themed shell wreath was fun to make and I love how it looks in my home. 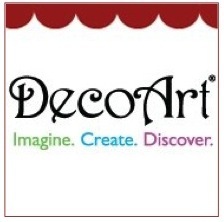 Visit my blog to see how easy it was to create using the new Smoothfoam ruled wreaths. 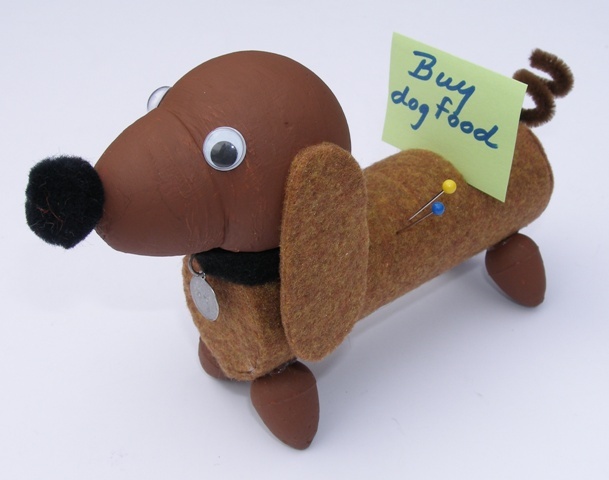 This doggy note holder is a fun weekend craft or an easy DIY gift for the kids to make – how cute would this little pup be on your desk or kitchen counter? 1. Cut a 5” length from the Smoothfoam rod. Cut off the top of the 2” egg at the seam. Trim one side of the Smoothfoam ball to fit the bottom of the egg section. 2. Cut a 5″ square of felt, then remove the backing and adhere it around the rod. Cut out and adhere two circles of felt to fit the ends. Cut out 4 droopy ear shapes, remove the backings and put two together, felt sides out, for each ear. 3. Sand the edges of the cut egg and the ball to get a good fit and glue together to make the dog’s head. Paint the head and the smaller eggs (for feet) with two coats and let dry. 4. Attach the head and feet to the body with pieces of toothpicks and secure with glue. Glue the ears, wiggle eyes and pom pom nose to the head. Make a collar for the neck with a strip of felt and a charm. 5. Curl the chenille stem and make a hole at the end of the dog’s body for the tail. Push the stem into the hole and secure with glue. 6. Use a craft knife to carefully cut two or three slits across the back of the doggie to hold notes. Notes can also be pinned to the body instead, like a bulletin board. 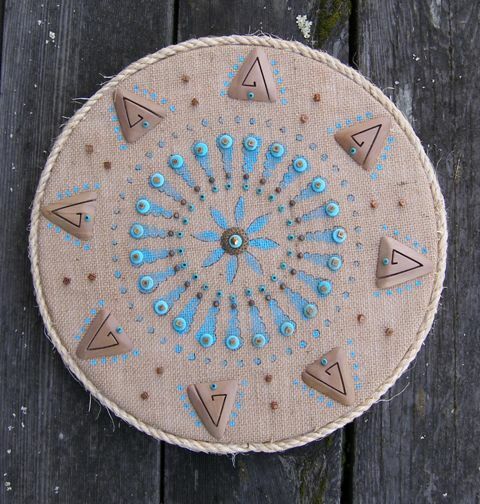 Smoothfoam is a great surface for a beaded mandala wallhanging because it holds the pins tightly. A stencil makes it easier to lay out your beads. Center and glue the burlap to the disc. Snip into the burlap around the edge of the circle and wrap around the edge of the disc, overlapping the snip pieces as you glue. Use straight pins to hold the burlap in place until dry. Center your stencil on top of the disc and pin down. Use a damp sponge brush to apply paint through stencil and let dry. Hot-glue rope around edge of disc. Pin beads into the surface as desired within the stencil design. Dot some paint with the end of the paintbrush to accent points in the design, then outline stenciled areas with black pen. 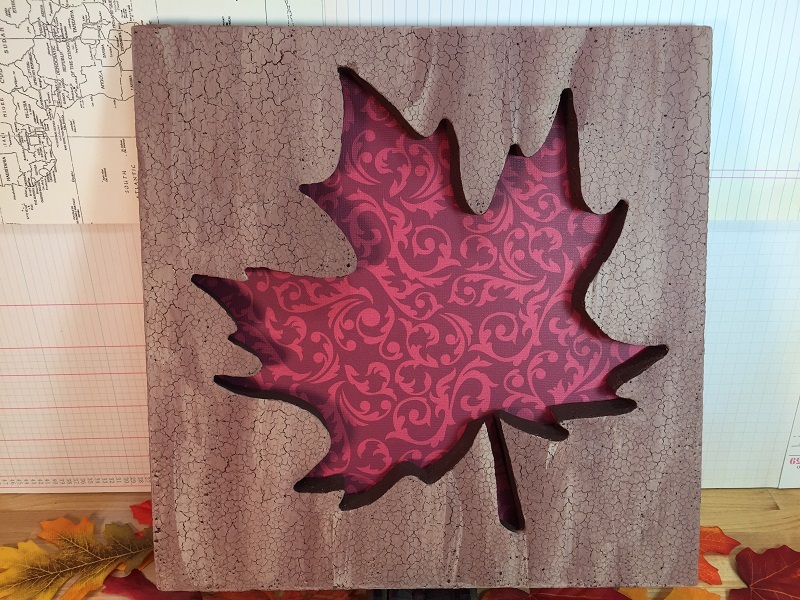 I created this fall leaf wall panel to embrace the fall season, which is non-existent where I live in Florida. The year-round sunshine is a wonderful thing, but I still miss certain things about fall – like the crisp air, apple picking and the leaves changing from green to gorgeous shades of red, burgundy, yellow and orange. Smoothfoam is easy to paint and it’s lightweight, making it easy to hang and store. Liven up any room with this fall wall decoration. 1. 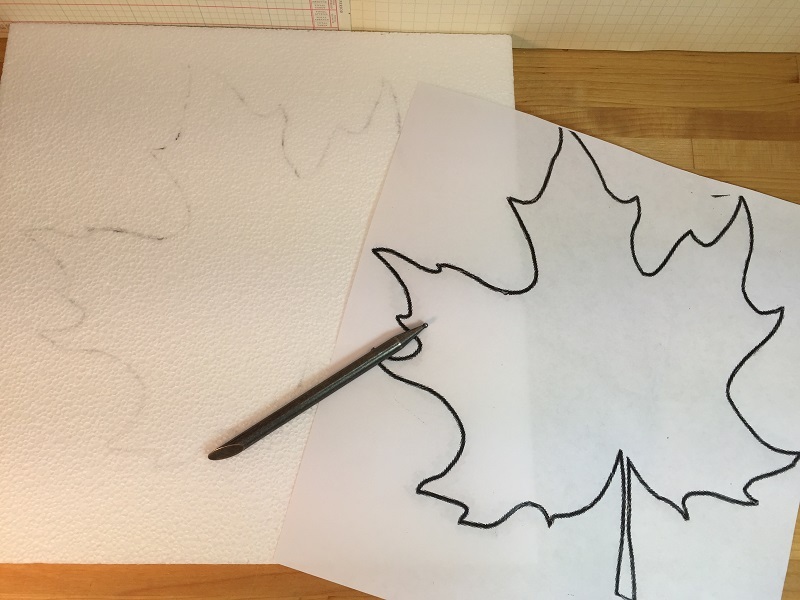 Draw leaf pattern on plain paper in pencil, then outline with a marker. Trace leaf on sheet of Smoothfoam, using a ball point pen to depress the surface. 2. 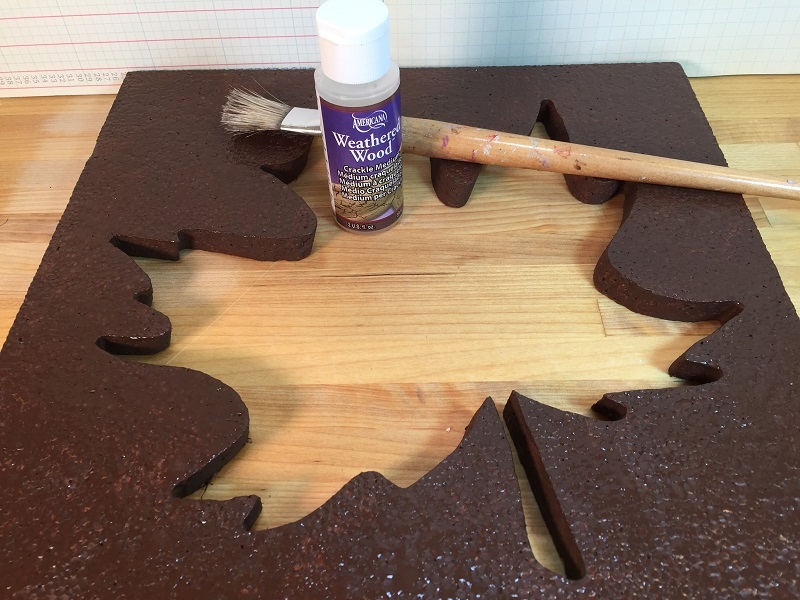 Cut out the leaf shape with a hot wire cutting tool. Smooth any rough edges with a nail file. 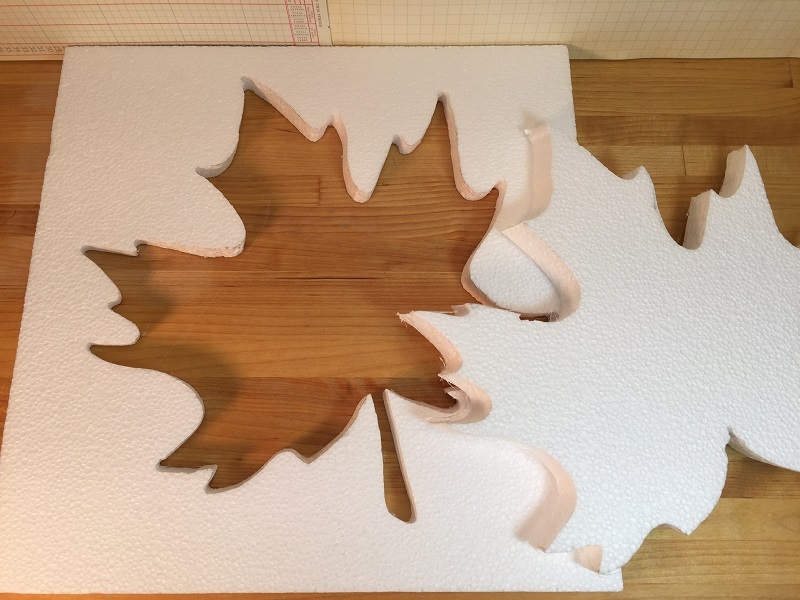 If you can carve the leaf out in one piece, you have a great shape for another project. 3. Paint the panel with Chocolate Brown, let dry. Apply Weathered Wood Medium according to package instructions. 4. Place Fawn and Sable Brown next to each other on your palette, load both paints on a large brush and paint the panel with another coat. To achieve the best crackling, stroke only once over the surface, do not go back and forth. Use more paint to get larger cracks, less paint for smaller cracks. Let dry. 5. 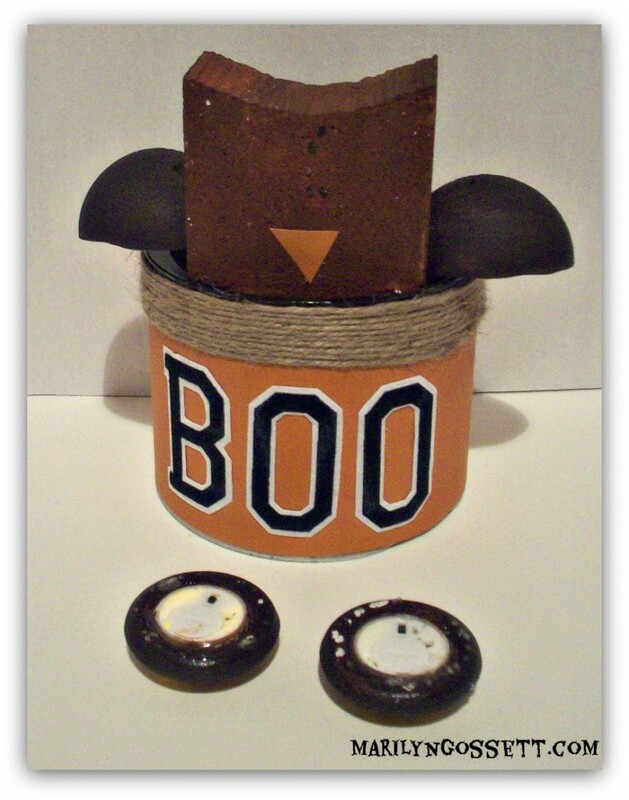 Paint the outside edges with Fawn and Sable Brown, but leave the inside of the leaf shape Chocolate Brown for contrast. 6. Glue the sheet of scrapbook paper to the back of the panel, let dry. Glue 1/4″ wide ribbon around the outer edge and let dry. Tie excess ribbon in a loop and bow to glue or pin at the top as a hanger. 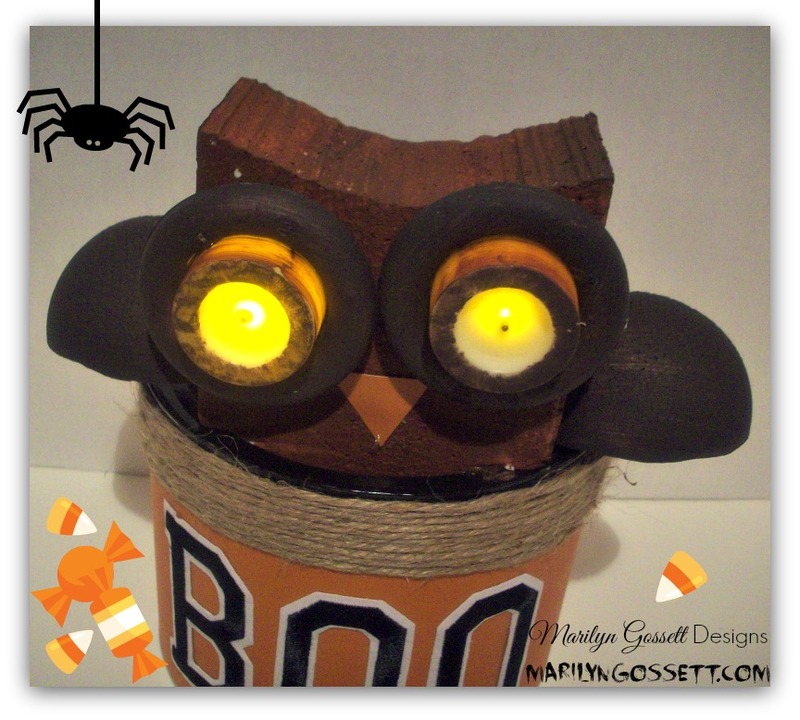 For more inspiration and fall wall decorations, check out the Smoothfoam Facebook page! I like making projects that serve more than one purpose, like this pinecone wreath. After I’m done with my fall decorations…I plan on adding red berries and re-making it into a Christmas wreath. 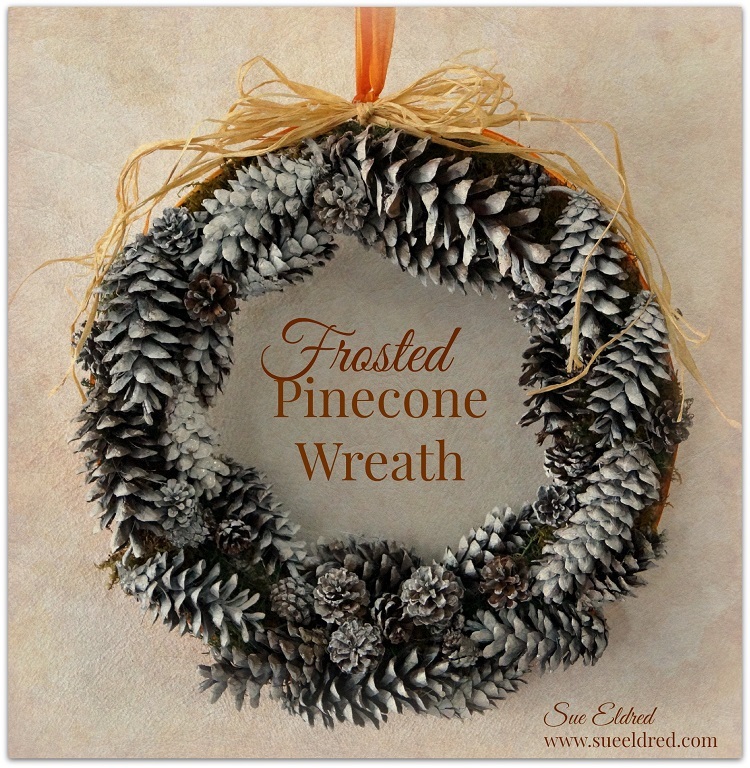 Here’s how to make a frosted pinecone wreath! Gather an assortment of various sizes of pinecones. 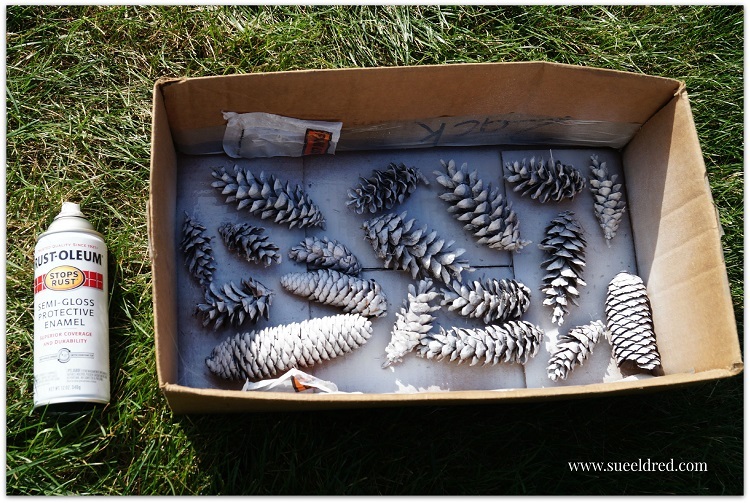 Spray paint one side of the pinecones white. 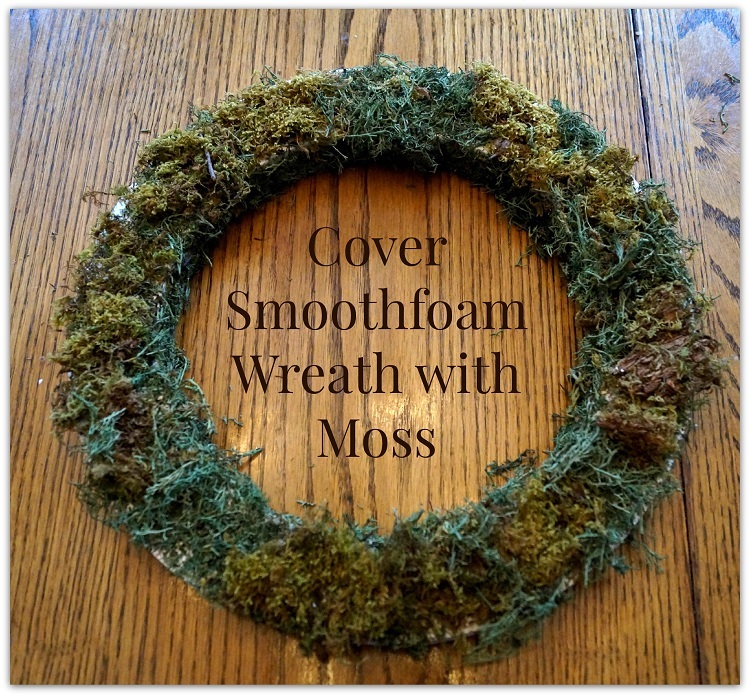 Glue the moss on the Smoothfoam wreath (leave the outside of the wreath bare). Hot glue and wire larger pinecones on the wreath first, then fill in the wreath with the smaller pinecones. Tie a ribbon around the outside of the wreath and add raffia bow. 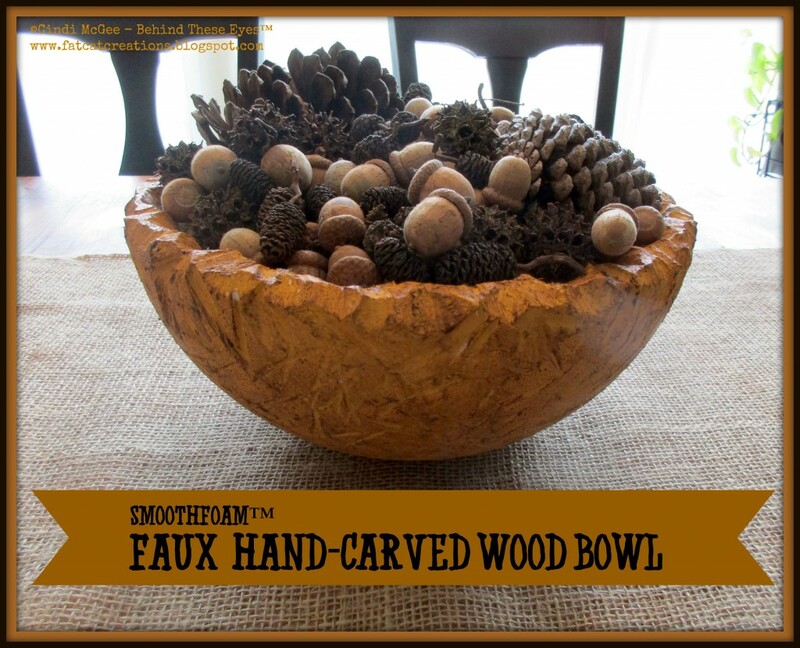 Get the look of a rustic, hand-carved wood bowl for an autumn tabletop display with Smoothfoam and Chalky Finish paint. Faux hand-carved wooden bowls make great table centerpieces. If using a hot wire tool to cut the Smoothfoam, be sure you are in a well-ventilated area. Place the half-ball upside down and carve away a bit of the base to make it flat so it will sit well on table as a bowl. I purposely cut it irregularly, as I was trying to recreate a carved wood effect. Flip the bowl over, then remove larger random chunks and slices from around the edge of bowl to give it a hand-carved look. Use different tools or styluses to add dents, grooves, and other marks all over the surface. Paint the bowl with Heritage Chalky Finish paint and let dry. Apply the Creme Wax with a paper towel, removing immediately after applying, to just tint the paint and darken the carved areas. Fill your DIY wooden bowl with fruit, acorns, pinecones or other autumn elements for a rustic tabletop display. This tiny DIY fairy garden house is a perfect way to add a bit of whimsy to your potted plants. So let’s invite the garden fairies to move in and stay a while! 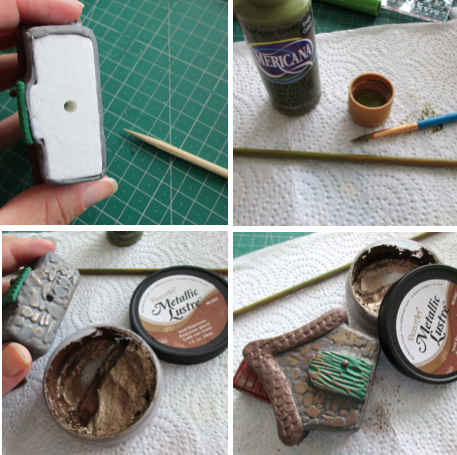 Mix small amounts of black and white clay to create gray. Roll through the Ultimate Clay Machine on setting #3 (slightly more than 1/8”). Place the cobblestone texture sheet over the flattened clay and press gently to transfer the texture to clay. Smooth any raised seams on the Smoothfoam foam craft house with an emery board. Place the house onto the gray clay and cut around the house with a craft knife. Glue the clay to the back of the house and trim beneath roof line as needed. Trim more pieces of cobblestone clay to glue to the sides and front of house. Smooth any seams in the clay with your fingertips. Mix a small amount of Grape Leaf clay with Green and roll it through the machine. Press it with the wood grain texture sheet. 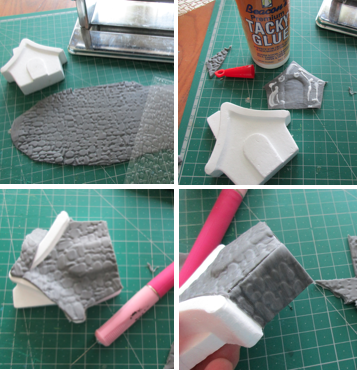 Cut out the door shape and press it in place – if the clay is still moist, no adhesive is necessary, otherwise use glue. 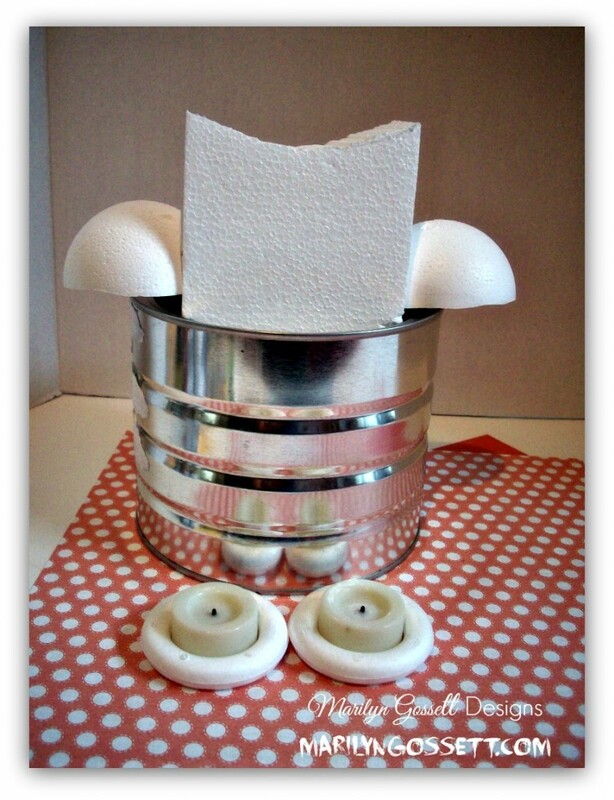 Roll a tiny brown ball of clay to add for a doorknob. Roll out some brown clay and press with the shingle texture sheet. Cut strips to glue to the roof on the sides and front edge. 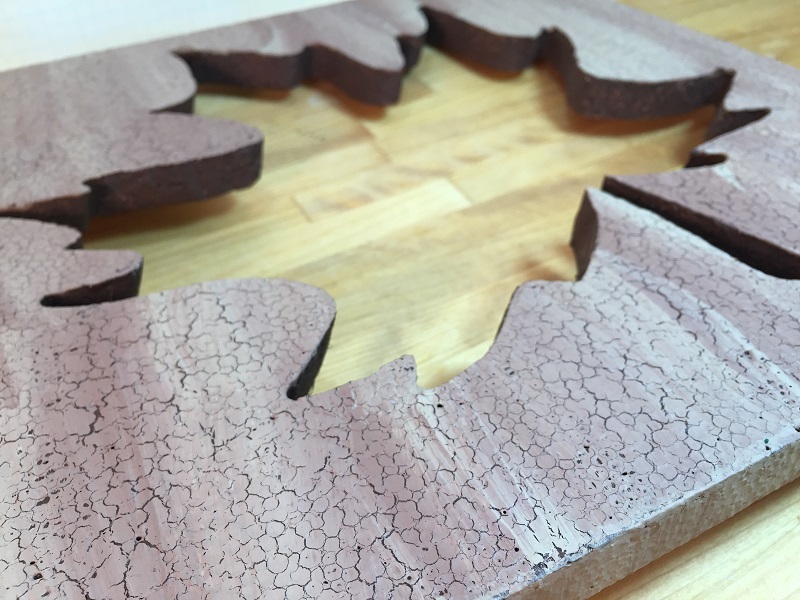 Roll out some Merlot clay and press with the brick texture sheet. Cut and glue pieces to cover the chimney. Use the skewer to make a hole in the bottom of the house. Glue a piece of grey cobblestone clay over the bottom, reinserting the skewer into the hole. Apply a light coat of Metallic Lustre over the entire house with your fingertip. Roll small 3/8” balls of Yellow clay. Use the circles detail tool to impress the clay into flowers and add to stems on the house. Use the clay pointed stylus tool to make small slices in the clay to resemble flower petals. Add tiny balls of Neon Pink to the centers of the flowers. 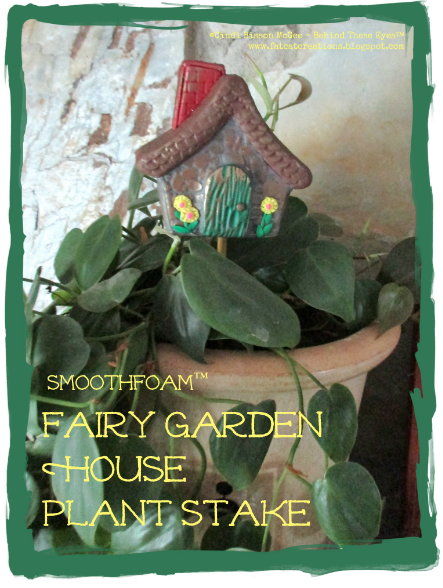 Proudly display your DIY fairy garden house in a flower pot or in the ground! With the arrival of August comes the back-to-school supply list. 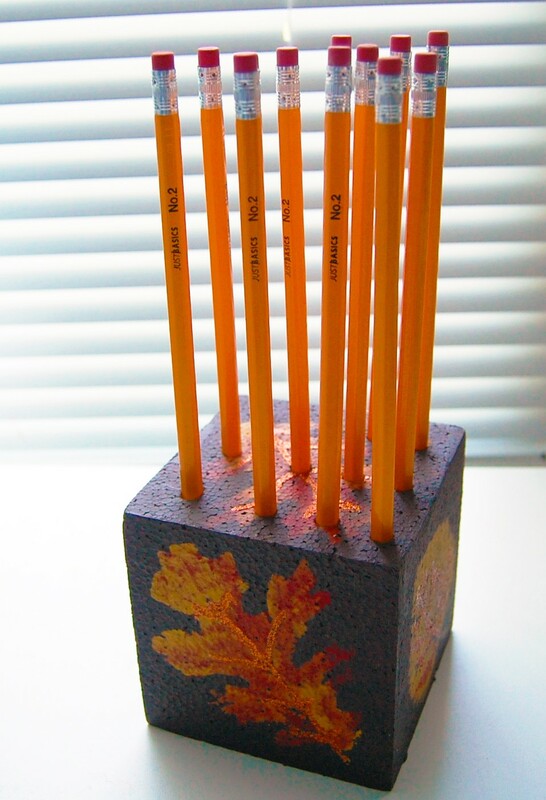 Why not send your child off to school with a great teacher’s gift – a creative DIY foam pencil holder using a Smoothfoam cube! 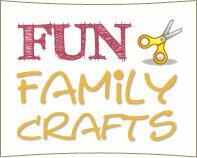 The teacher will appreciate it, and you and your child can squeeze in a little last-minute summer crafting fun. Learn how to make your own back to school teacher gifts below. 1. Paint the cube brown. Allow the first coat to dry and paint a second coat. 2. Position the stencil on the cube and dab a bit of yellow and red paints over the stencil. Allow the colors to mix together a bit. Once dry, touch up with a small brush if needed. 3. Add the veins of the leaves with glitter glue. Do one side at a time and allow to dry before adding veins on another side of the cube. 4. Determine the top of the cube and punch 12 aligned holes with the knitting needle, or a screwdriver works too. Add the pencils and you have an adorable teacher’s gift! For me, vacations are all about the beach – and I haven’t left a beach yet without a pocketful of shells! I’ve crafted with found shells for literally more than 60 years, but for special ideas for decorating with seashells like these, I head to the craft store for hard-to-find shells. 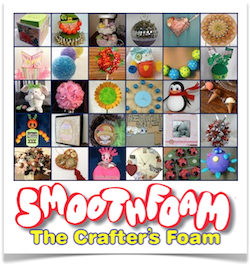 Smoothfoam shapes are a wonderful foundation for so many different kinds of seashell decorations. 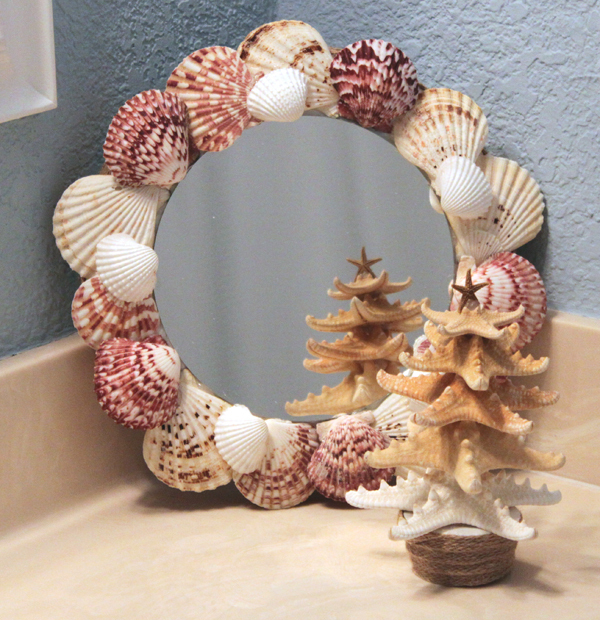 Find some wonderful seashell craft ideas below. 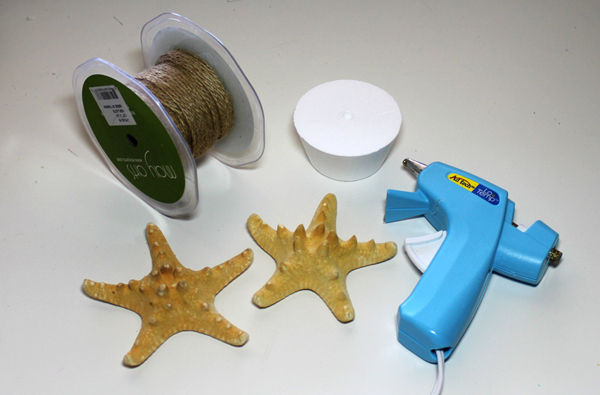 PLEASE NOTE: Shells conduct heat from the glue gun very quickly. Use caution when handling to avoid burns. 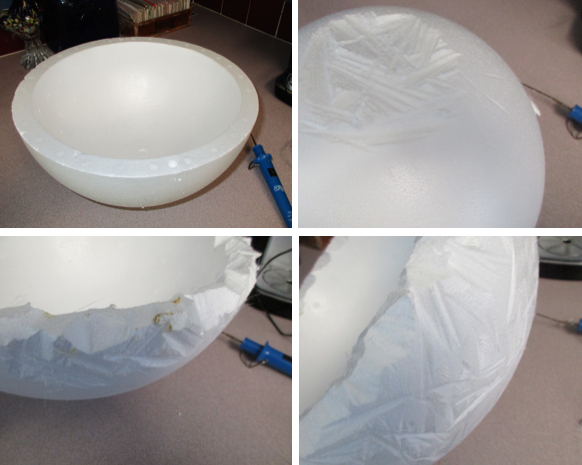 Glue the shells around the outside of the half-ball. Overlap shells as shown for better coverage. 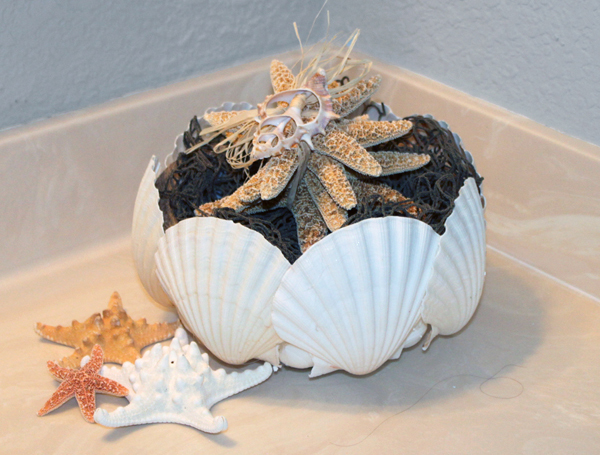 Fill with whatever decorative items you like, such as netting and more shells. Adhere the mirror to the center of the disc with tacky glue. 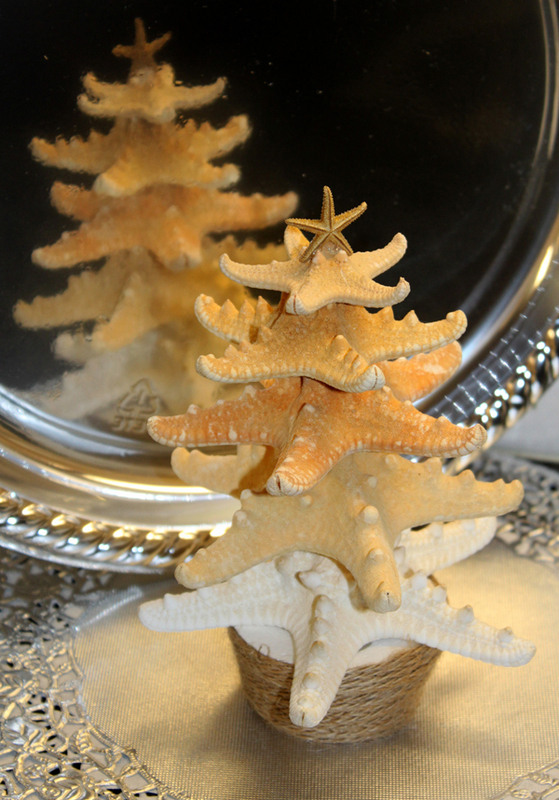 Arrange and glue shells around the outer edge of the mirror with the glue gun. 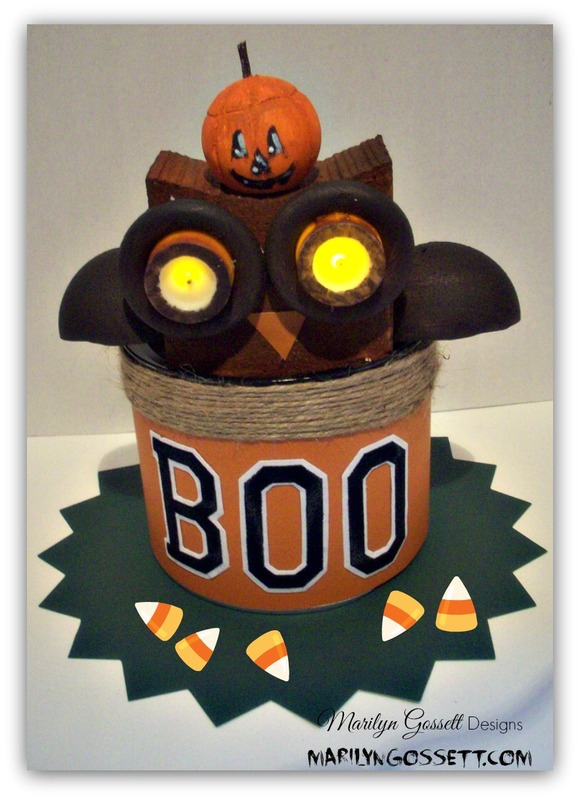 Wrap the burlap ribbon around the outside of the cupcake for the base, then glue the largest starfish on top. Glue the remaining starfish on top, ending with the smallest.